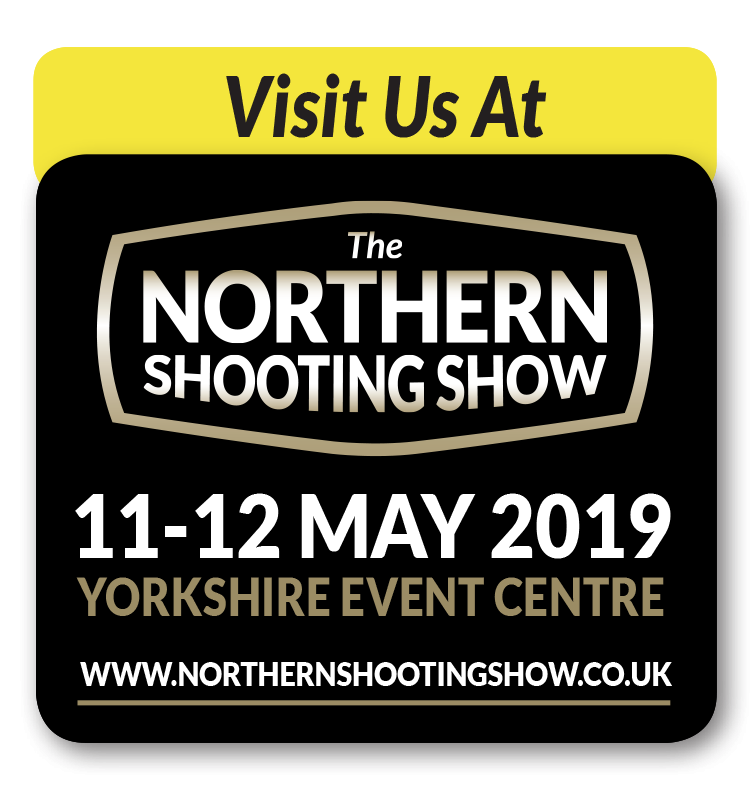 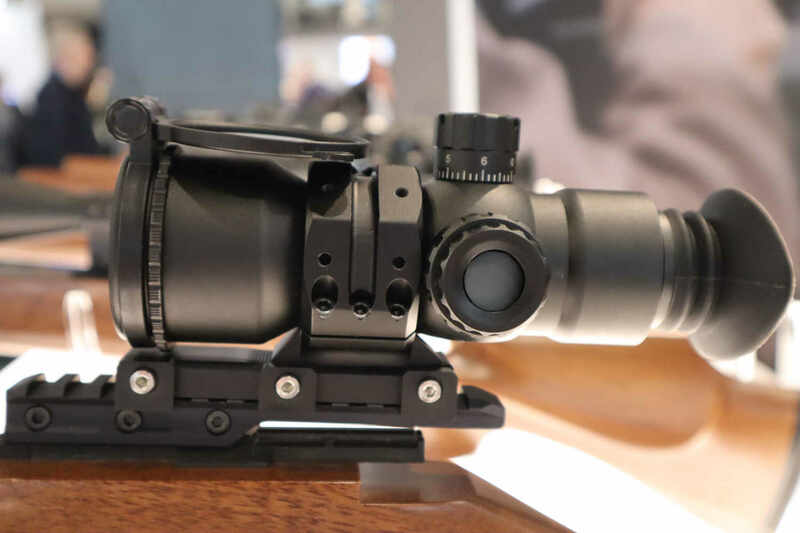 With its short eye-relief the SWAT Prismatic ‘sits back’ further than any other scopeleaving plenty of mounting rail to allow headache-free mounting of all kind of NV attachments. 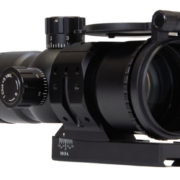 The field of view from its 50mm front lens is three times more than a conventional scope, let’s put it another way: here we have a 12 magnification scope that has the same field of view as a ‘conventional’ scope dialed into just 4 mag. 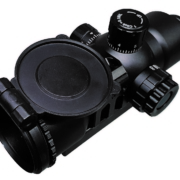 Light gathering; we need to mention that the light gathering is quite frankly amazing, the SWAT prismatic gathers more light than a comparable 12X scope and so is a top choice for low-light situations. 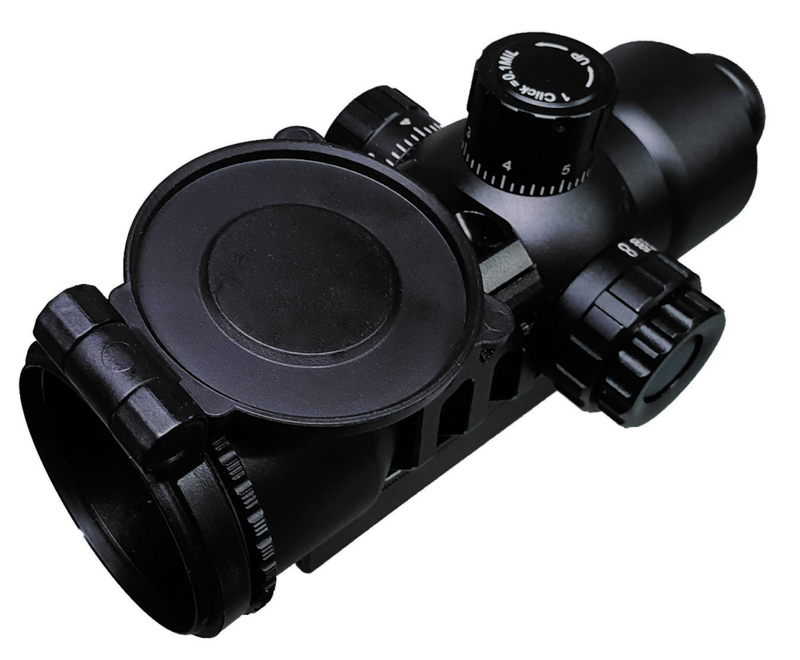 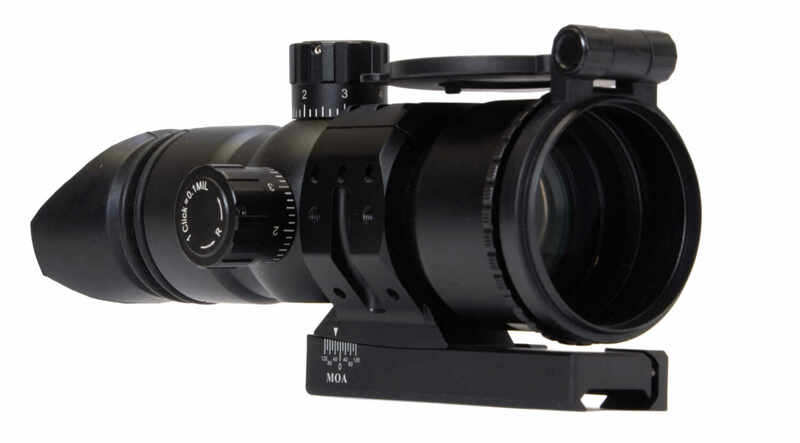 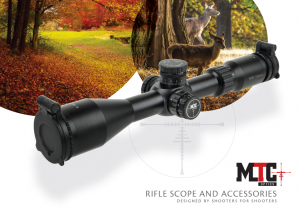 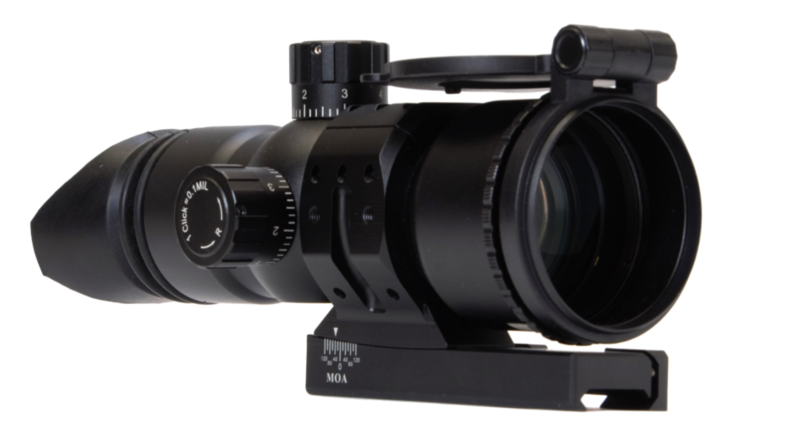 Complete with MTC’s magnetic flip covers and a cool new mount that allows for minuteof-angle adjustment that allows the shooter to easily achieve a close to optimum optical zero – before even dialing-in the scopes turrets, the SWAT Prismatic starts to sound like something you need that is just not available anywhere else from anyone.